Phew. For a while I really thought they weren’t going to let us proceed to Tel Aviv! Ah, but I’m getting ahead of myself. Let me start from the beginning. In 2012 my brother and I went to Israel. We found a mistake airfare to Israel and it was just too cheap to not buy it. Despite some lingering security threats in Israel at the time, we booked the fares ($432 roundtrip) and started to plan our trip, all while keeping an eye on the news. Due to holiday schedules and time off from work, we only had enough time for 5 total days away, which meant 3 whole days on the ground in Israel. Now, many of you might think that’s not enough time, and you are exactly right. But we proceeded confidently anyway, adventure in our eyes. 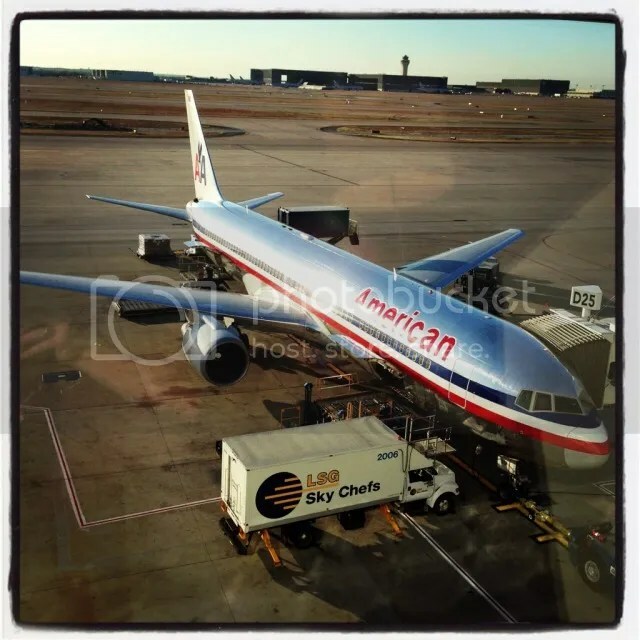 The first leg of our journey was an American flight from DFW-Madrid on an old 767. Those planes were old back then and they’re still old today, ugh. After a fairly quick flight to Madrid we made our way to the preclearance desk for El Al, Israel’s national airline. Israeli airport security has a sterling reputation and we didn’t realize that security procedures actually start before you ever get to Israel. The questioning was logical, professional, but felt pretty intense. As you remember from the beginning of this post, at one point it seemed like they weren’t going to let us board for Tel Aviv since us staying for such a short period was suspicious! I produced my hotel reservations and told them the name of our tour guide and eventually we were allowed to proceed. Madrid to Tel Aviv was aboard an El Al Boeing 757 that was old enough that it was probably built by Jeff Boeing himself (note: no idea if Jeff Boeing is a real person, just a hilarious joke). Madrid to Tel Aviv took just under 6 hours and we had to modify our approach on the way in. Why did we have to modify our approach? Well, Hamas was firing missiles into Israel at the time, and Israel was using a new system called the Iron Dome to automatically detect these missiles, launch missiles at the other missiles, and blow them up. I kid you not, the pilot said we would be descending rather suddenly and on a different approach to the runway so “we won’t be mistaken for a rocket and shot down”. Thankfully no rockets were launched and we landed safely at Tel Aviv’s Ben Gurion Airport. I love renting cars and driving in other countries. Particularly Germany and Austria, their road system is very organized and everyone follows the driving laws. I had heard that the driving in Israel is a bit more…um…spirited, but we decided to rent a car and drive around anyway. I asked the person at the Avis counter for a super mega ultra crazy upgrade and they proceeded to give us…this little cute thing. It was so tiny that at one point during the trip I tried to deadlift it. We landed in Tel Aviv late at night but our journey wasn’t over, we had to make it to Jerusalem, where we would begin our adventure the next morning. The GPS system we rented was nice enough and took us directly to our hotel: the Three Arches YMCA in Jerusalem. It was a spartan hotel attached to a fitness facility but it was fairly cheap and really close to the Old City so it was perfect for us. Not to mention it was located in an ancient-looking building that was just gorgeous. And the driving wasn’t that bad, I thought. We finally got to lay down on beds after a long day of flying, eager for the days ahead. Israel itineraries tend to follow one’s religious beliefs (or lack thereof). The sites to see if you’re Jewish are different than what you’ll want to see if you’re Catholic which is different than what you’ll want to see if you’re Protestant which is dramatically different than what you’ll want to see if you’re Muslim. There’s some overlap between the sites but many tours are even sold specifically to different religious groups. As my brother and I are both Protestants we reached out to friends and family to find the best tour guide. One name kept coming up: Boaz Shalgi of EDI Travel. We reached out to Boaz and asked him what a typical tour looked like. He replied and gave us a pretty cool 9-12 day itinerary with a variety of sites that covered a lot of biblical history as well as time for the fun stuff like floating in the Dead Sea. I replied back and said “Sounds good, can we do all of that in 3 days?” He replied and said if we were crazy enough to fly all the way to Israel and only stay for 3 days he would show us as much as he could. Jerusalem is an incredibly ancient city that had a sort of tension built up in it, for fairly obvious reasons: it is home to some of the most significant religious sites of three major religions. Israel is the home of the Jewish people, who wish to rebuild their Temple atop the Temple Mount. Christians believe Jesus Christ was crucified in Jerusalem, where he rose from the dead three days later. Muslims believe Jerusalem is the place from where Mohammed ascended to heaven (the place from where he ascended is…atop the Temple Mount). Nevertheless, if you have a religious upbringing it is pretty amazing to see the stories you’ve heard and read come to life. Boaz hopped in our car and we drove up to the Mount of Olives in East Jerusalem. It’s a Biblically significant location, King David fled atop the Mount in the Old Testament and Jesus spent time on the Mount of Olives in the New Testament (it’s also where he ascended to Heaven, according to the book of Acts). After the Romans destroyed the Second Jewish Temple, Jews would ascend the Mount of Olives to have a panoramic look over the Temple Mount. (a note: the golden-domed building is the Dome of the Rock, a Muslim shrine at the location where Muslims believe Mohammed ascended to Heaven) You can also see the towering walls of the Old City. It’s hard to talk about the Temple Mount without talking about religious conflict, so I will avoid most of it. The Al Aqsa Mosque is one of the largest in the world and sits where the Jewish Second Temple previously stood. We walked down the Mount of Olives (taking a path Jesus would have taken in his day) through the massive Jewish cemetery there, where over 150,000 Jews are buried. We even saw a few funerals going on in the distance as we walked down the mountain. At the bottom of the Mount of Olives sits a garden called Gethsemane. Christians believe this is where Jesus was praying when he was arrested before his crucifixion. The garden has numerous olive trees that are simply MASSIVE (and some are rumored to be more than 2000 years old, which would mean they witnessed the arrest of Jesus). The Old City of Jerusalem has eleven gates, constructed over a number of centuries. Many are sealed shut these days, but the gates are still the only way into the Old City. As we walked down the Mount of Olives we came across a Muslim cemetery on the eastern side of the Temple Mount, where the East Gate remains sealed and impermissible. Jewish tradition states that the Messiah will victoriously enter the Temple through the East Gate, so it was sealed shut during the reign of Suleiman to basically lock out the Messiah. We made our way into the Old City via another gate but not before we took one last look at the Garden of Gethsemane. We entered near the Via Dolorosa, said to be the path Jesus walked on the way to His crucifixion. You will see Catholic pilgrims carrying crosses along this path and stopping at the various Stations of the Cross where significant things happened on the day of Jesus’s death. We didn’t really have time to stop at each of them, but saw a few highlights, like this walkway where the crowd chose to release Barabas to them instead of Jesus. The Via Dolorosa ends at the Church of the Holy Sepulchre. Constructed in 320AD by the Emperor Constantine, this church is said to lie atop Golgotha, the place where Jesus was crucified. and His tomb, which is now empty (and covered by a shrine built in the 1800s). I’ll be honest, the stories of all the infighting kind of soured the Church of the Holy Sepulchre for me. The Christian sects argue so frequently that the care of the keys to the Church are actually entrusted to two different Muslim families. The arguing is illustrated aptly by, of all things, a ladder. This ladder has remained (mostly) in the same place since the 18th century. It represents the status quo, the idea that because there are so many arguments between the six Christian sects which claim authority over the Church of the Holy Sepulchre that no one sect can move anything in the Church without the consent of the other five sects. Therefore, the “Immovable Ladder” remains there to this very day. After we left the Church of the Holy Sepulchre we walked through the Muslim Quarter of the Old City, which felt to me like medinas I experienced in Morocco. All manner of things for sale with friendly insistent salesmen urging you come to their store and see their wares. They had the finest in bootlegged shirts! We stopped at a small cafe (hilariously called the “Holy Rock Cafe”) for some fresh-squeezed pomegranate juice, one of the best-tasting things in the world. The rest of our day in Jerusalem was spent walking around and seeing various gates (most with bullet holes from the Six Day War in 1967) and historical sites around the Temple Mount, where there are numerous archaeological digs taking place. We stopped at the Western Wall of the Temple Mount, where Jews gather to pray and leave prayers in the cracks of the Wall. A note: when approaching the Wall they kindly ask that your head be covered out of respect. If you do not have a head covering (e.g. a hat) they have coverings available to borrow, which my brother proudly donned. The Wall was a very reverent place at the intersection of religion, hope, and conflict. After saying goodbye to Boaz for the evening we grabbed some burgers at a chain-looking restaurant outside of the Old City (neither my brother nor I are very adventurous eaters) and then went back into the Old City to see what it was like at night. The most activity is around the Western Wall, where we visited a second time. As we left the Wall I saw two elderly gentlemen talking and managed to capture them together for one of my favorite images of all time. It was a wonderful ending to an exhausting day. Our mission the next day was to venture east to the Dead Sea and see the Masada fortress. We drove and drove, seeing ancient cities off in the distance (which we would not have been able to visit without leaving our guide behind since he was Jewish and we were in the West Bank territory). Then a crazy thing happened: it rained. Hard. Boaz said he had only seen rain like this a few times in his life. I thought it was cool to see but then realized how dicey it made the roads and slowed down quite a bit. As we descended below sea level we eventually came to the Dead Sea, at which point we turned south toward Masada. Masada is a towering mountain in the Judean Desert where King Herod built a fortress for himself. During the Roman occupation in the late 1st century, persecuted Jews rose up, overcame the Roman garrison, and took residence in the fortress. The Romans blocked off all supplies to the fortress but the Jews remained strong. Looking from the top of the fortress you can still see the walls of Roman siege camps. There are also amazing views of the Dead Sea. The story of Masada has an unfortunate end (depending on your viewpoint). The siege was lasting too long so the Romans decided to build a ramp up to the fortress in order to storm it. You can see the remnants of the ramp they were building even today. Faced with certain death at the hands of the Romans, the 960 Jews at Masada decided to take their own lives in one final act of rebellion instead of falling into Roman hands. Since suicide is forbidden in Judaism it’s said that they actually killed each other, the last remaining (via a drawing of lots) the only one actually killing himself. It’s a sign of Israel’s strength and determination against outside powers and today Masada is a massively popular tourist attraction in Israel. The spirit of Masada is also still prevalent, military units have been sworn in atop the fortress with the declaration that “Masada shall not fall again”. We made our way back down the mountain and back to our car, which we lovingly named the Kelev (Hebrew for “small dog”). As we drove towards a place where we could swim in the Dead Sea I was astonished to see so many trees, since the water in the area was so salty. Boaz said this was due to Israeli agricultural developments around desalination of water, which allowed Israel the ability basically create oases in the desert wherever they wanted. On our way to the Dead Sea we stopped for a bite of lunch near Qumran and went to an overlook to see the caves where the Dead Sea Scrolls were found. Swimming in the Dead Sea was a pretty cool experience! Since the water is so corrosive I didn’t have a camera with me (there were lockers at the place where we swam and everything stayed in there), but it’s really as buoyant as they say. In fact there was once a gentleman who was relaxing in the Dead Sea, fell asleep, and floated across the sea to Jordan! Well at least that’s what people say. Sadly people drown every year in the Dead Sea when they roll over onto their stomachs (fat is more buoyant than muscle so their stomachs were pushed to the surface while their face and legs would remain underwater), so make sure you stay on your back when in the sea. The day ended in Jerusalem again with more typical fare instead of hamburgers. Our last day was our marathon. We would begin in Jerusalem, head west to Caesarea, over to Mt. Carmel, still over to Capernaum, up to Caesarea Philippi, and finish at the Valley of Tears near the Syrian border, after which we’d part ways with Boaz near his home on a kibbutz in the Golan Heights. It took us all day and was worth every second. This archaeological site is very important for biblical history, as it is where the apostle Paul was held in prison. It sits on the Mediterranean coast north of Tel Aviv. It’s still being excavated and they’re discovering new things constantly at the site. It’s very Roman, with an amphitheatre and garrison. It was also important from a biblical history standpoint because there’s a stone there with the name Pontius Pilate, one of the few extrabiblical references to the man who ordered Jesus be crucified. That was located near the Circus Maximus. This was probably my favorite place in Israel, so many stories from the New Testament took place here since it was Peter (the Disciple)’s hometown. The town is relatively well-maintained compared to some of the other locations we visited. The really cool part about this small temple-looking place was a certain part of the floor had been cut out, revealing a stone flooring of sorts, said to date to the time of Jesus. It’s amazing to imagine that you’re standing on a place where Jesus may have walked (again, depending on your beliefs). The house of Peter is still standing but someone built an ugly monstrosity of a church over it that looks like a huge spider. From Capernaum we headed up the Golan Heights to the border with Syria to see the Valley of Tears. The Yom Kippur War of 1973 bore witness to one of the fiercest tank battles in history between Syria and Israel. Although outnumbered the Israelis managed to hold off the Syrians after four days of violent fighting. After the war many of the tanks lost were left where they lay as a memorial of sorts to the strength and resiliency of those in the battle. The Valley of Tears is extremely close to the Syrian border, in fact you can see a Syrian city behind the tank below. We made our way to another biblically significant site, Caesarea Philippi, which is near the border with Lebanon (at one point we were driving on a road literally next to the fence). I liked this area as it didn’t seem as arid as the rest of Israel, more forested. Plus there were marmots! I thought they were all cute and cuddly but later found out they carry the bubonic plague. Nice defense mechanism, marmots. As we made our way back to part ways with Boaz, we were treated to some amazing views of the Sea of Galilee as we made our way down from the Golan Heights. I would’ve loved to pull off the road to take some better pictures but that part of Israel still has quite a few minefields so I decided to just be a different kind of stupid and take pictures while I was driving. We bid a fond farewell to our dear friend Boaz and made our way to Tel Aviv, exhausted and not ready to leave. Israel is a place of deep connection, deep faith, and natural beauty. It’s also a place, at times, of doubt, worry, and terrorism. It’s unique in the world as a place where such beauty and tragedy are so intermingled. That I got to experience a place of such deep personal meaning with my brother made it even more special. Why am I writing about this four years later? Simple! This trip is the reason I started Andy’s Travel Blog and I thought it would be cool to revisit it and tell the stories all over again. I think it’s important to tell stories that are important to you. As the blog celebrates its 4th birthday, I find myself looking back more and more, but also trying to look ahead to the future a bit too and start thinking about the places I’d like to return to instead of just new places I’d like to go. I hope you’ve enjoyed this look back at a wonderful journey, let me know what you think in the comments below! Nice recap. My husband and I also have limited time off, so we do a lot of 3-4 day trips. Our families think we’re crazy. Obviously I’d LOVE to take 1+ week trips more often, but given our current work schedules, I’d rather do quick trips than not travel at all! You can fit a lot into 3 days and make the best of it. Ah, apologies, thanks for the clarification, I’ll update the post. This is great! I enjoy reading about the actual places you visit. All the other blogs I follow focus on the flight there which gets pretty repetitive after a while. Maybe you have some suggestions of other blogs that focuses on posts like this? I have been quite fortunate to have visited Israel for 2 months in high school and later for periods of 2 weeks 4 or 5 times What so impressed me is that there is always something new that I discovered. We went twice with our daughter, once when she was 5 and 2 years later. Again we discovered new things because she made us literally come down to her level. What is amazing is the enormous variety of topography in this tiny country. And, if you give the local food a chance, there are few places with better fruit. Amazing! I enjoyed so much reading your travel experience. I think you are the first ones to try this in 3 days. You made the best out of it and you had a very good tour guide. I really agree with you saying its time to come back to the places you have visited before. Especially a place like Israel with such a diversity of everything and deep layers that goes far thousands of yeard. This country is so epic. And you cannot go there and just go on living your life without thinking about everything. I find that truly touching. Hi. I enjoyed reading your blog. We are planning also to visit Israel this dec. and yes a the travel is just the same as yours. 3 days in the ground of Israel. How and where did you get your tour guide?